The nuts and bolts of how The Great Wake Up! will work. The Great Wake Up! is a series of 40 fun experiments during the course of 2016, to help you find the time and energy to make your life a brighter and more fulfilling place. We all feel dissatisfied at times. When we think about our lives we find that although many aspects of it are fulfilling and fantastic, we still find ourselves asking “is this it?”. Much of our time is spent thinking about the past and the future, and not about the present; we are bombarded daily by ever-increasing amounts of stimulus and suppress our emotions to cope by numbing ourselves with distractions like TV, gaming and stimulants. Hence, we are dulling parts of our senses and our reactions to the outside world. We therefore spend much of our lives asleep or on standby. It’s a waking sleep, where we look as if we are functioning perfectly and seem very efficient, however, we are anything but conscious. We are on autopilot, going through the motions. Every month we will propose four experiments that will hopefully make us more aware of whom we are in our world. By breaking routines and experimenting with new, we force ourselves to become more conscious. This is not another thing on our ever growing to-do list, instead it’s a bit of play that helps us step back from our busy lives to enjoy who we are. These new experiments may well be so beneficial to our lives, that they become a part of who we are. 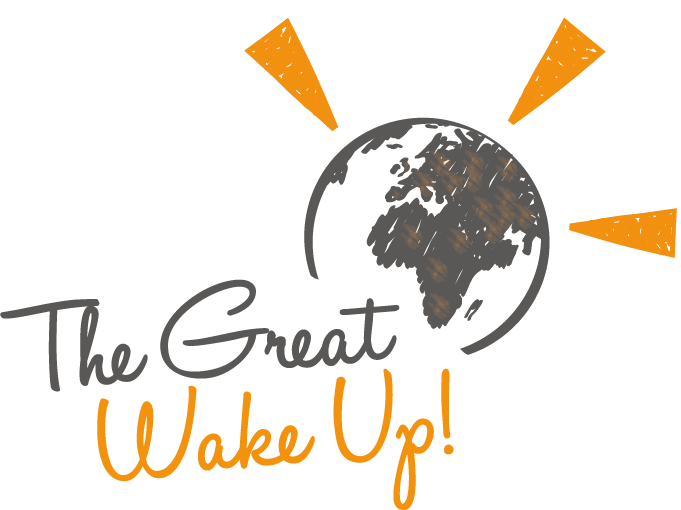 Join The Great Wake Up! for all 40 experiments as they unfold or take your pick from what feels right for you. At end the end of the month we will review our results and those from our team of Psychologies Wake Up! Champions, and see if this is an effective experiment which has positively impacted our lives. Or not!